I hope you are all enjoying this fab weekend. I am sorry that I have been slacking on posts lately. I haven't really been doing too much shopping when it comes to makeup lately. I am trying to calm down on the makeup-shopping for a bit-but I know it's hard, because I am a makeup junkie LOL! Everybody in the beauty community is raving about Urban Decay's new packaging for their famous primer potion. I have longed for this day for a really long time, and it has finally happened! The squeeze tube is simply perfect-you get a lot of product, it's sanitary, and it ensures that you squeeze every bit of product out (I am so over disecting the potion bottle packaging-ugh!). I read on the Sephora website that this product is limited edition...I hope it isn't. I am a sucker for finding the next best thing when it comes to concealers that battle dark under eye circles. I am almost running out of my MAC Studio Finish Concealer, so pretty soon I will be on the hunt for a new one. This concealer from Too faced has been receiving good reviews on the Sephora website, and it seems to be promising for dark circle coverage. 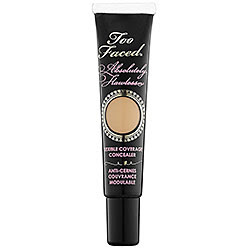 Too Faced Absolutely Flawless Concealer contains vitamins A and E, and it claims to help with puffiness, and the firming of the skin. This concealer is available in three shades which I am worried about-hopefully they have a good color match for everybody (this concealer claims to have "self-adjusting shades"). My lips have been so dry lately, I don't think my regular use of lip balm is helping much. I really like the fact that this conditioning lip treatment is all natural and does not contain sulfates, parabens, etc....Ingredients that our skin and bodies can do without. Josie Maran's beauty and skincare line at Sephora has been getting quite the buzz. Her products are all natural, and they contain Argan Oil. Argan Oil is a great moisturizer that contains vitamin E and is said to help with anti-aging as well because it contains fatty acids. 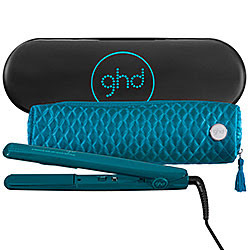 How pretty is this iron from ghd? It is available also in the colors purple and green, and comes with a heat quilted heat-resistant pouch, and a black case. I really hope to finally own my very own, much raved about-Clarisonic. 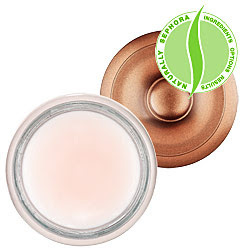 This product is said to work wonders when it comes to removing ALL of the gunk off the face such as clearing the pores and reducing their size, and this handy tool helps deep clean your face so that your skincare products and treatments sink into your skin better, so that it does what it needs to do. 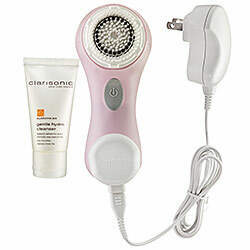 Have any of you tried a Clarisonic? Let me know how it works for you all, I would really love the feedback. 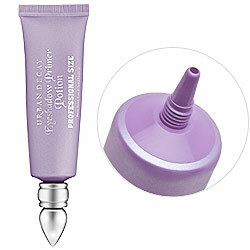 Really wanna get the new Primer Potion!~I have the UDPP in Sin and love it!~The GHD's are so cute too! I saw the purple one on Sephora's website. I am so getting that concealer when my no-buy ends... NOTHING works for my circles! Nothing! I am in the same boat as you when it comes to nothing being able to conceal dark circles properly. Maybe this concealer by Too faced can be the one :) I think I am going to try it myself soon! I cannot wait for the UDDP to get on my hands! love the packaging change!